The tires on your Volvo determine the handling and safety of your vehicle. 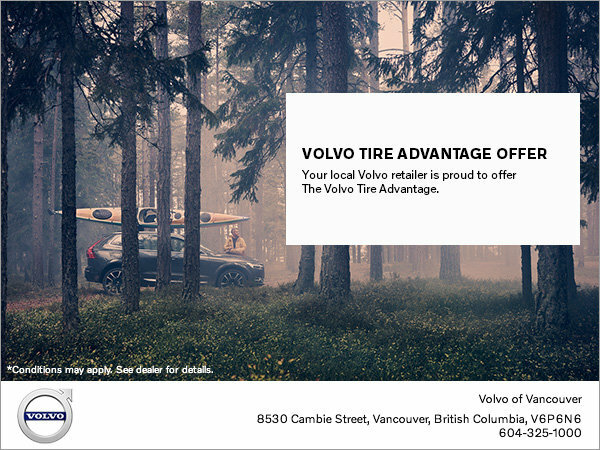 That's why Volvo of Vancouver has the Volvo Tire Advantage Offer. Let our expert technicians help you choose the right tires for your Volvo. We also offer complimentary 24-month Road Hazard Tire Protection with the purchase of any Volvo recommended tires. Also, take advantage of our proper tire disposal and recycling.